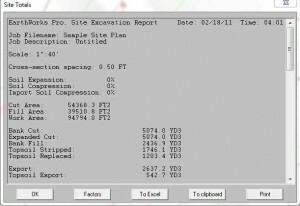 "Earthworks On-Screen" Cut & Fill Software for PDF Plans. Tighten Your Accuracy, Cut Your Costs, and Bid More Work! Ask About our 3-Payment Plan! "Earthworks On-Screen" for PDF Plans. Fast, Accurate Cut & Fill Quantities. Complete "Site Package" Take-off for Dirt, Materials, Utilities. Bid More Work With Greater Accuracy. Send Us Your PDF Plan for a Personal On-line Demonstration. EarthWorks is designed to be the easiest to use and most affordable earthwork software for excavating contractors and general contractors. Earthworks is available in two versions: for cut & fill take-off from paper plans or for take-offs On-Screen from PDF files and downloaded drawings. NEW! “Auto-Trace” lets you instantly trace in contour / grade elevations. Cuts your take-off time in half! 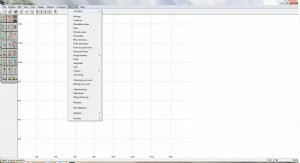 EarthWorks is one of the lowest priced software packages on the market, with many of the same features offered by more expensive cut & fill software. 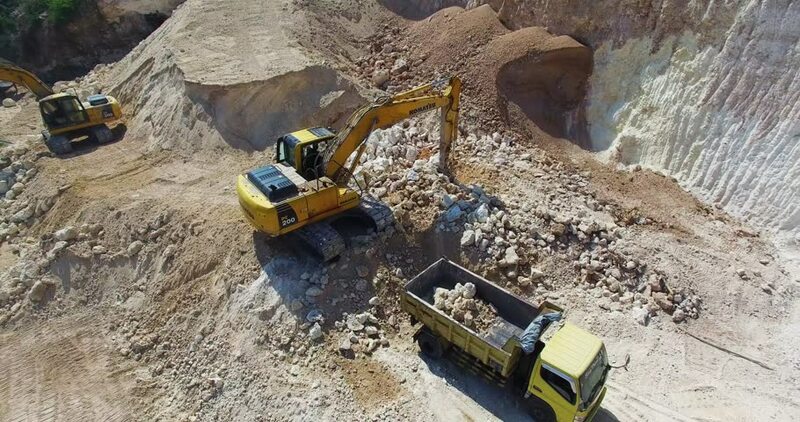 EarthWorks has been used by thousands of excavating contractors across the U.S. for over 12 years, giving them a strong competitive edge in the bidding process — quick, accurate cut and fill quantities in a fraction of the time compared to manual take-offs. Most site take-offs can be completed in 1 to 2 hours — with a high degree of accuracy. Ask about our 3-payment plan. Includes “Quick Start” download so you can start working today! “EARTHWORKS” IS SIMPLE AND EASY TO LEARN! FOR QUANTITY TAKE-OFFS ONLY! NOT LIKE OTHER COMPLICATED “ESTIMATING” SOFTWARE. YOU’LL GET UP AND RUNNING IN LESS THAN 2 HOURS. 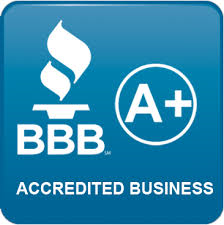 Plus one-on-one, personal telephone and on-line training arranged at your convenience. Ø User-friendly screen layout — lets you learn very quickly! Ø Large icons for commonly used functions — easy input of grade and spot elevations. Ø Clear on-screen prompts guide you through each function. Ø Work with PDFs, TIFFs, AutoCAD 2000DWGs and paper plans. Ø 6 1/2 hours of built-in ShowMe! videos provide in-depth information on ALL aspects of the software. Ø Detailed on-line help system, just click for help anytime while working on your take-off. Ø 7 weekly on-line training classes. Voice Verification speaks your commands and elevation entries, making errors easy to catch “on-the-fly”. Ø Smart MinMax automatically flags out-of-range elevations as they are entered. Ø Our “Display only out-of-range elevations” option shows only those elevations that need correcting. Ø Right-click editing allows you to change any information about any drawing object. Ø Elevation and cut/fill color map views make it easy to catch even subtle mistakes. Ø 3-D Color maps screens allow you to check ANY POINT in the drawing and see the EXACT value calculated for the: ¬ Existing elevation ¬ Topsoil strip depth ¬ Over-excavation depth ¬ Proposed elevation ¬ Topsoil re-spread depth ¬ Subgrade depth ¬ Subgrade elevation ¬ Engineered fill depth ¬ Cut or fill depth ¬ Work area. COMPLETE SYSTEM FOR UNDERGROUND UTILITIES — PIPE, TRENCH, STONE, BACKFILL QUANTITIES. 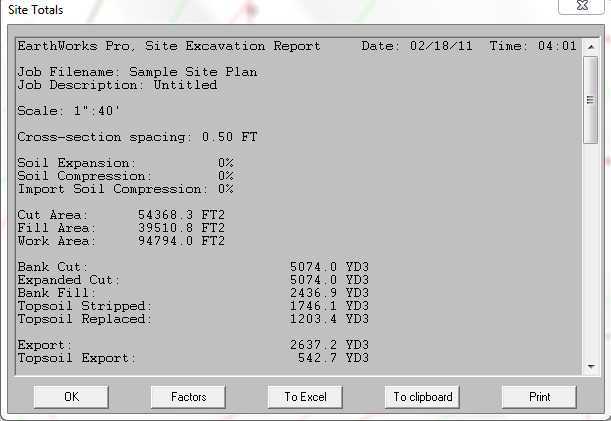 Video Demonstration: “Earthworks 4.0” with Auto-Trace for instant input of grade elevations! Includes “Quick Start” download so you can start working today! 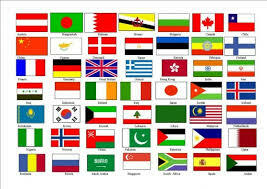 INTERNATIONAL SALES AVAILABLE!